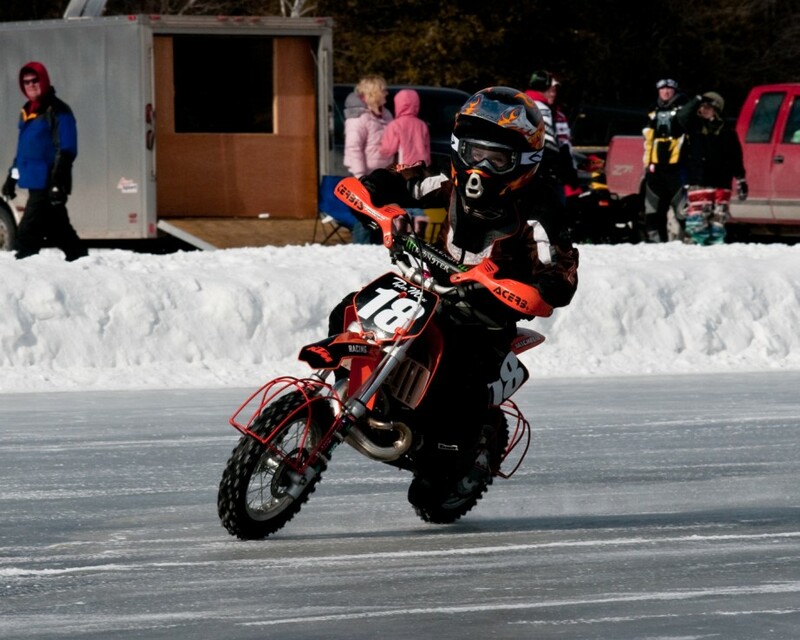 Tyler began his ice racing on a Yamaha PW 50cc motor bike. His dad made some training wheels for it. After a few crashes he asked dad to take them off and away he went. Since then he has grown into a 50cc KTM. Soon he will be into the 65 CC class with a new 65 CC bike. We're looking. UpDate: TylerManRacing has found another bike. It's a 65 KTM and we are looking forward to the new 2011 year of racing. Please come out and cheer Tyler on, it's a lot of fun. Tyler is driving now as a backup driver for Pepin Racing. 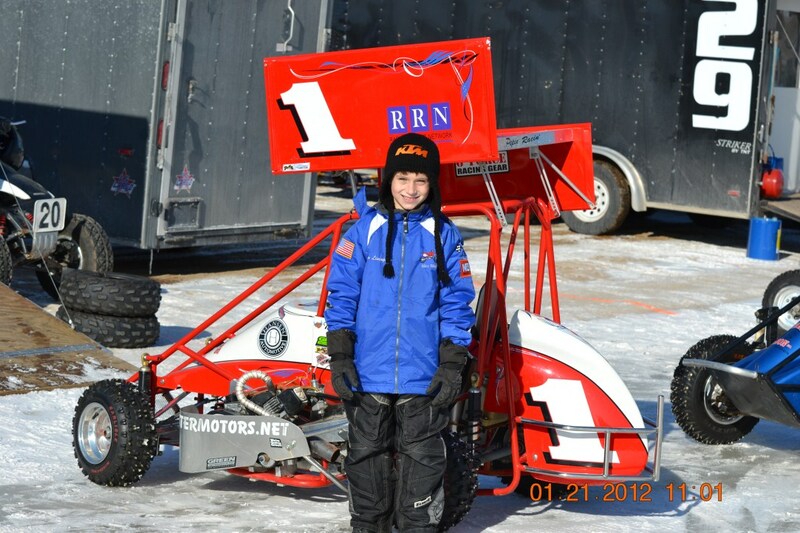 He's made his first race last Saturday (1.21.12) & Sunday (1.22.12). In both days he took second place in all 4 races.. Nice Job Tyler! UpDate 1.27.2012 Tyler and his dad are on the way downstate to pick up another new bike to him. He's now stepping into a KTM85... Tires are on order and it's time to ride again. 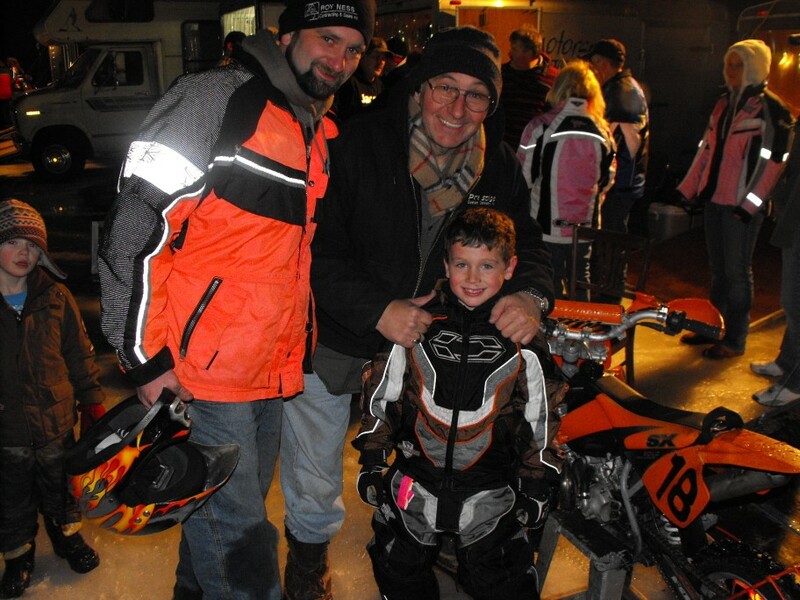 2013 Update..2.12.2013 Tyler, Jason (Dad) Uncle Rob along with Grandpa Ray went down state to Cadillac MI to watch Tyler run in the AMA National's.. 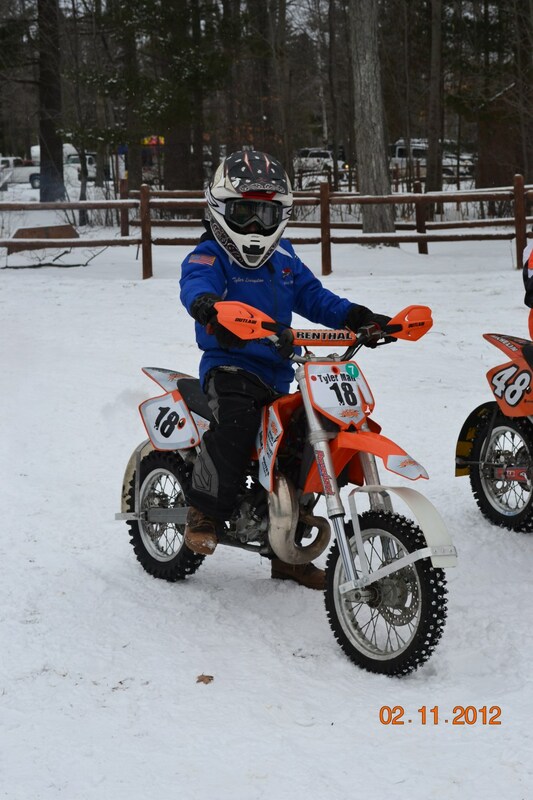 He won his race riding his 85 KTM. Tyler was in the 85cc Mod class and stock class.. 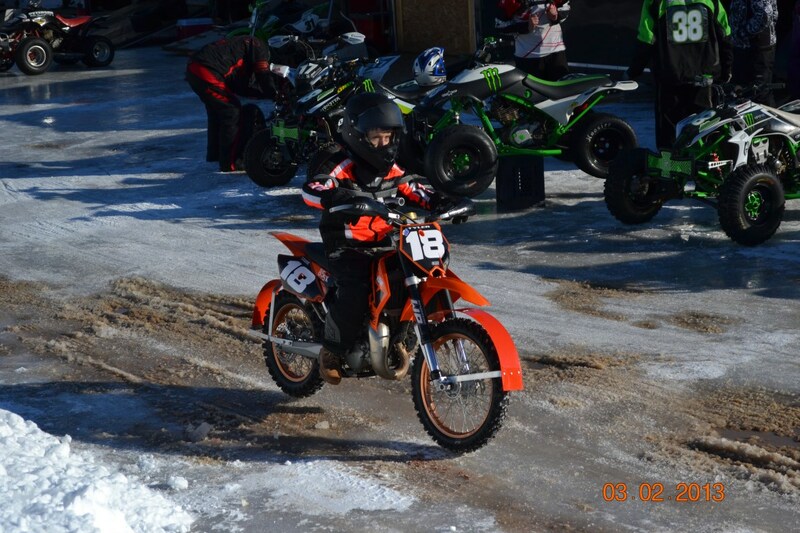 He took them both by a straight of way..
Tyler was in the 85cc Mod class and stock class riding his new 2014 Kawasaki 85KX..
2015 Update This year the AMA Kold Cutter shoot out was in Egerton WI. We went down with a truck load. Tyler's family all went down as did his Aunt Jaime, Uncle Rob, Hannah and Olivia.. Even Grandpa Ray went again. 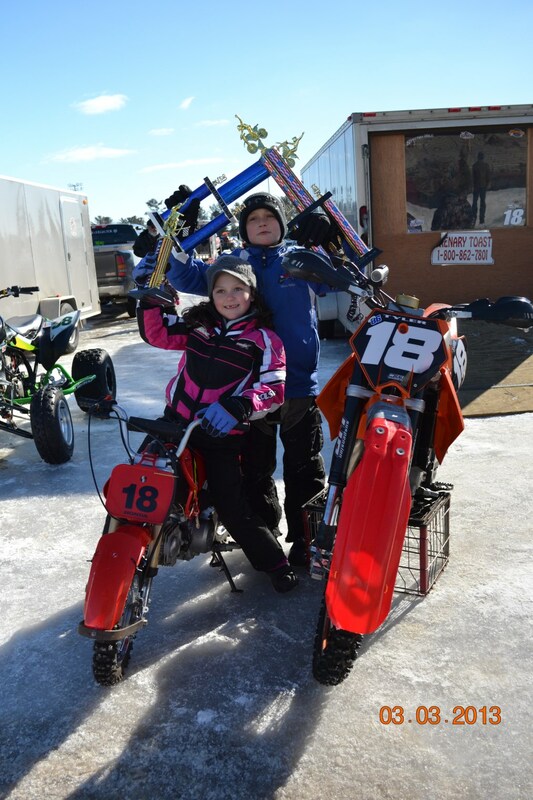 Tyler won his 85cc stock class and took 3rd in the Mod class.. He had some tough competition.. The weather was bad once again with sub 0 all day.. Just like last year in Cadillac. 2014 Kawasaki 85KX..